The average U.S. college graduate in 2014 carried $33,000 of debt. Average tuition fees, adjusted for inflation, rose by 20% between 2007 and 2012. 47% of students in America and 28% in Britain who enroll in college do not obtain a diploma. The biggest innovation of higher education in the past 30 years has been to double its costs and hire more administrators at higher salaries. These are just some of the gems from two articles featured recently in The Economist and The Atlantic. The cover images feature a wrecking ball crashing through books and a graduation cap made to look like a ticking time bomb. 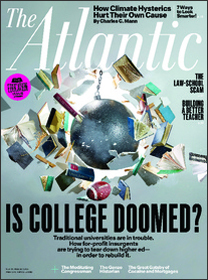 The Economist article sites a cost crisis, changing labor markets and new technology as the reasons for dramatic changes to higher education. The Atlantic article also emphasizes “financial dysfunction” but focuses on a new for-profit venture called Minerva, named after the Roman goddess of wisdom. providing a set of core courses that teach “habits of mind” and “foundational concepts” for sound thinking across the humanities and social sciences. using a proprietary online platform for courses that utilize research-based pedagogical practices and allows professors and students to live anywhere in the world. allowing students to attend university (which physically consists solely of a dorm) in different parts of the world each year, taking part in field trips organized by Minerva. The article questions whether the Minerva model provides students with the same “growing up” experience as the current models do. And it asks whether or not research will be threatened in the future. What do you think? 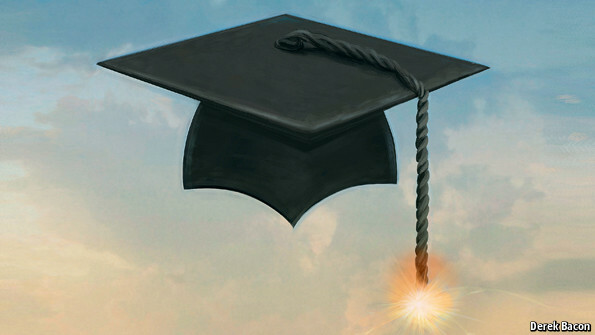 Is the college model as we know it destined for radical change? What does that mean for K-12? Next postHow integrated is your life?